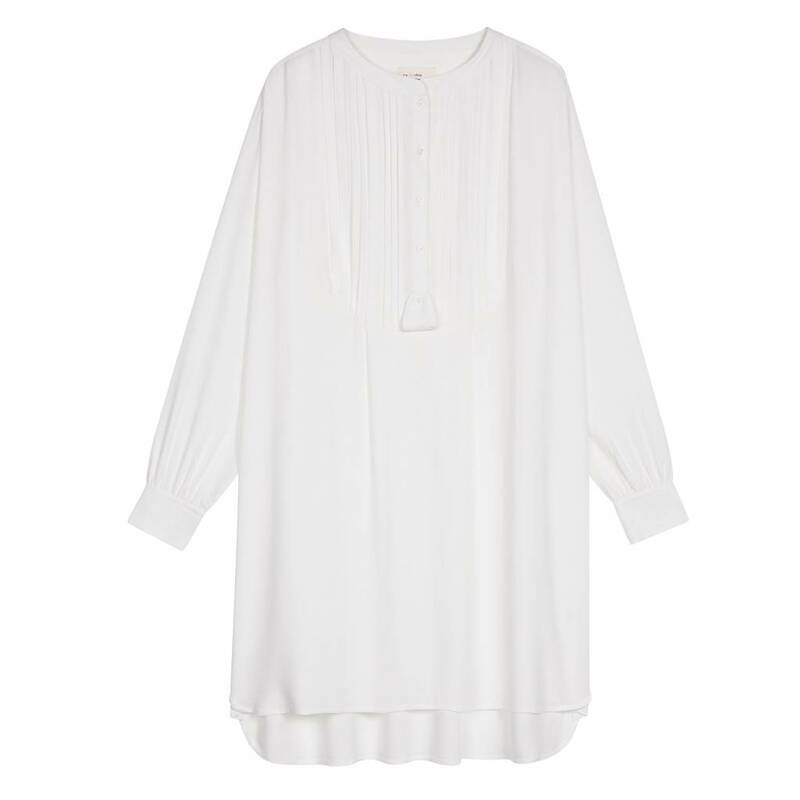 Suzie Dress shirt off white: straight fit model, long sleeve, upright collar and buttons down to the chest with pleats. clothes, wear it as a tunic or carelessly stuck" in your black pants. Made in 100% viscose crepe. Best to wear a skin-colored slip dress.